A few years ago the “Welcome to Downtown Langley” sign at McBurney Lane was set on fire. Since that time, McBurney has started to show its age (and not in a good way.) At Douglas Park, a new cenotaph is being installed in time for Remembrance Day. Also, Park Avenue will be beautified as part of the new condo development on Douglas Crescent. With all the sprucing up on the south side of McBurney Lane, the City will be updating the north plaza. 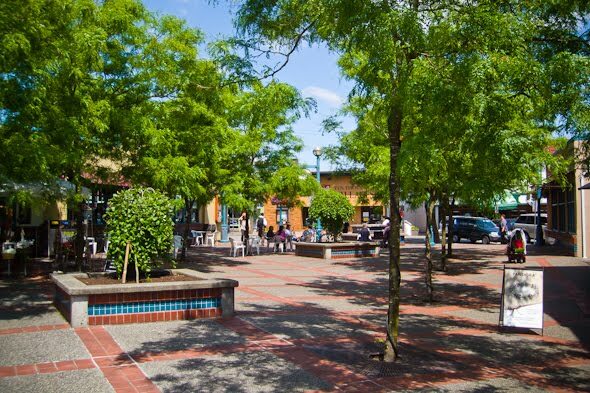 The City of Langley will be hosting an open house on Thursday, July 21, 2011 from 6:00 p.m. to 7:30 p.m. to present the new plan for McBurney Lane on site.